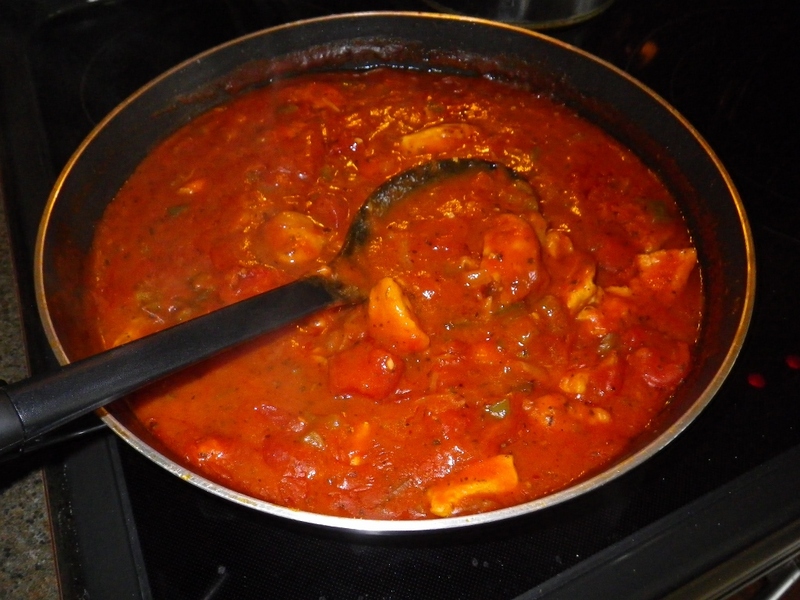 Chicken Fra Diavolo, brother devil, is a tasty and simple to make dish that is a nice change from the more common marinara or beef sauces over pasta. Since you are making it, you get to control how much of the devil goes into you dish. Remember, a little bit of red pepper flakes can go a long way. This presentation was over angel hair pasta but the choice of pasta is yours and I think you are all aware that with different pastas, the same sauce will taste a bit differently. I don’t know why but it sure seems that way. 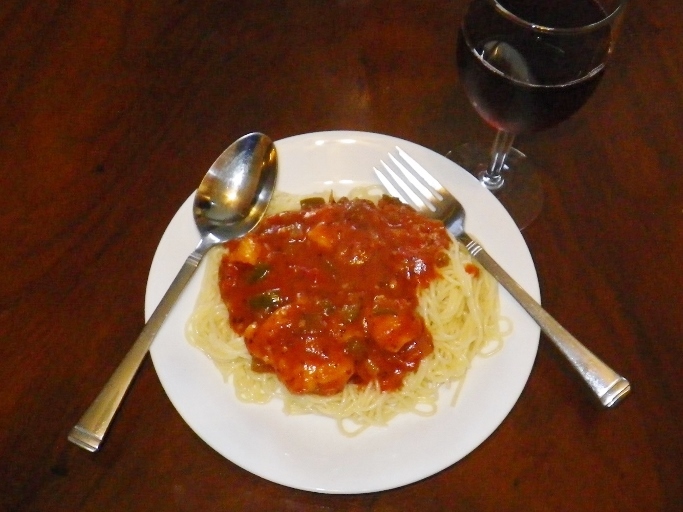 The sauce is nice and thick and clings to the pasta. A garnish of chopped basil leaves or snipped chives would make a nice presentation. Served with a slice of crusty French bread and perhaps a salad, it is a wholesome and filling meal. Dredge in flout and sauté in olive oil until just browned. 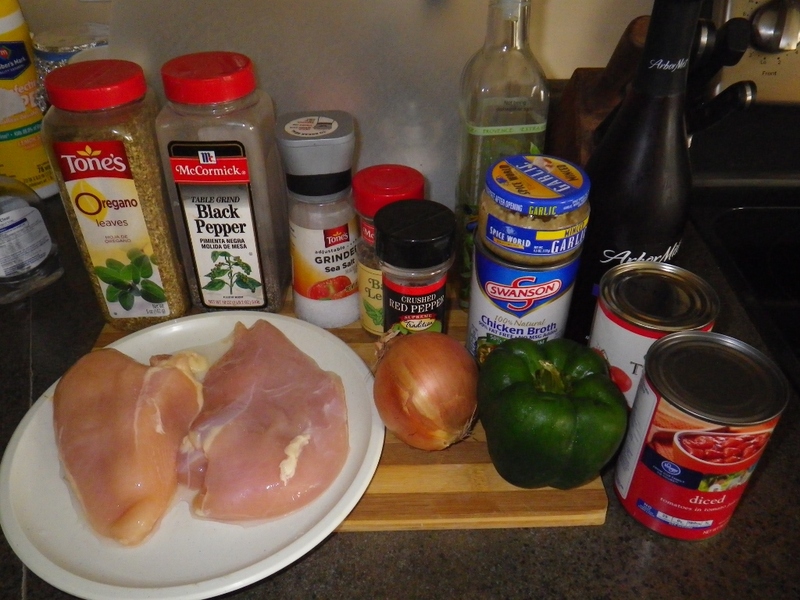 The chicken will finish cooking in the sauce. 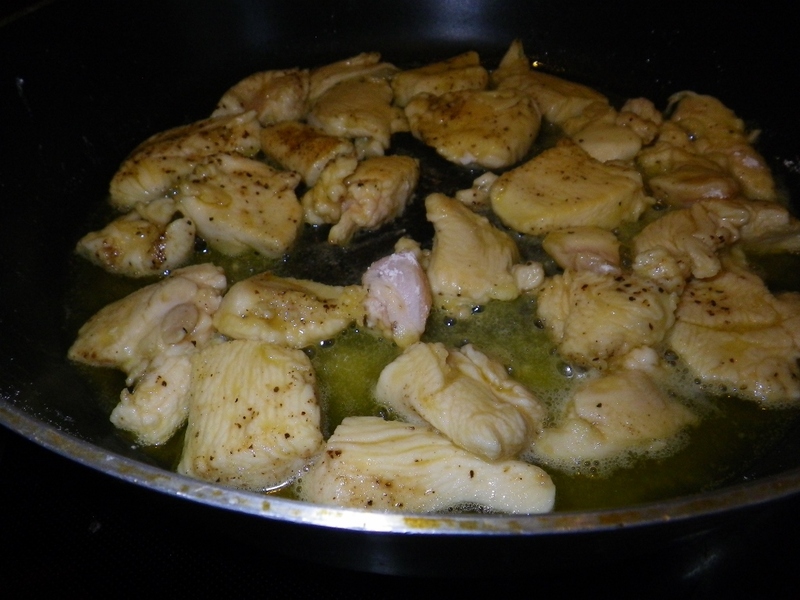 Remove the chicken form the pan and set aside. 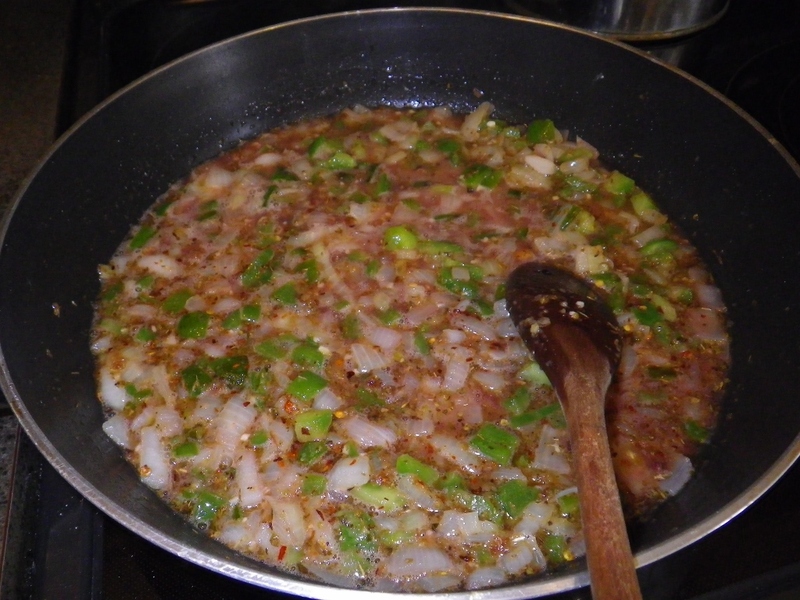 Add the green peppers and onion. Sauté until peppers soften, about 5 minutes, then add the garlic. Stir often to avoid burning. Cook an additional 3 or 4 minutes. Add the wine and simmer until the wine is reduced by half. Add the tomatoes, tomato sauce and chicken broth. Season with red pepper flakes, oregano and chicken base. Stir to mix well. 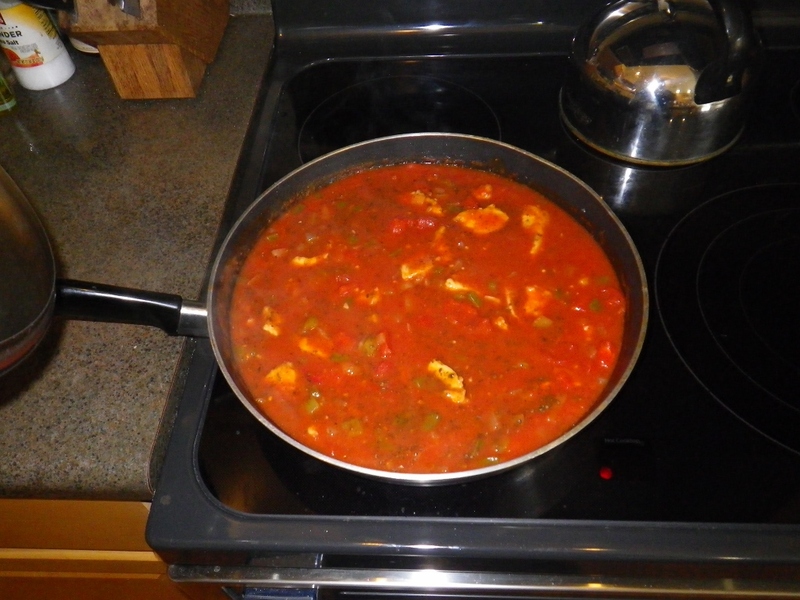 Return the chicken to the pan and continue to simmer over low heat until sauce has thickened, about 15 minutes. 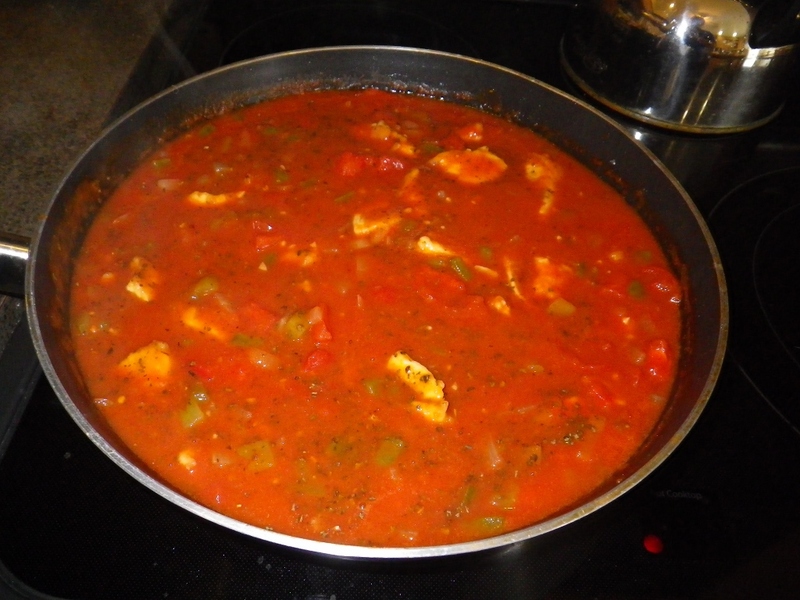 Add capers, cover and slow simmer for an additional 20 minutes. While the chicken Fra Diavolo finishes cooking, cook the pasta per the package directions , drain and serve with Fra Diavolo ladled over the top.